Shortly before Christmas, while I was researching the story of the Revd Stopford Brooke, the Irish author of a much-forgotten translation of Silent Night and a controversial Anglican priest who later became a Unitarian, I came across the story of the extraordinary Whitty sisters who spent part of their childhood in Limerick. 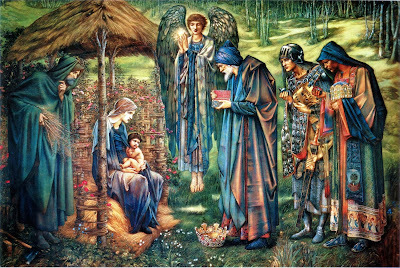 Sophia Angel St John Whitty (1877-1924), who was born on 4 November 1877 at 69 Upper Leeson Street, Dublin, was an Irish artist and woodcarver. She was named after her maternal grandmother, a daughter of Bishop Edward Stopford of Meath. Sophia’s sister, Clare Emma Whtity (1883-1950), was born on 30 May 1883, and later became an Anglican nun, Mother Mary Clare, who died a martyr’s death during the Korean War in 1950. She was born at her mother’s family home in Fenloe, near Newmarket-on-Fergus, Co Clare, during one of the many family holidays spent in the Hickman family home in Co Clare. Their father, Dr Richard Whitty (1844-1897), a medical doctor and a land agent, was born in Rathvilly, Co Carlow. 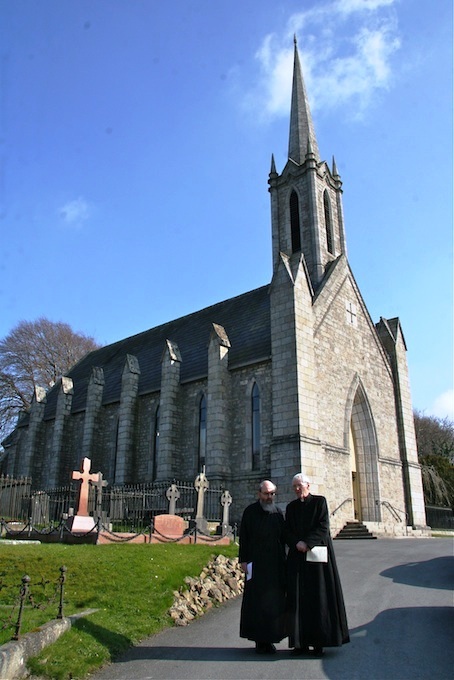 His father, the Revd William Whitty (1801-1844), was the curate of Rathvilly. One source says this Whitty family was descended from Thomas Whitty, a grocer of Dublin and Exeter. Another source says they are descended from the Revd John Whitty who was the son of Sir Walter Whitty of Ballyteigue Castle, near Kilmore, Co Wexford. This branch of the Whitty family lived for generation in Rathvilly, Co Carlow, and Dr Richard Whitty’s father, the Revd William Whitty, grandfather, the Revd John Whitty (1761-1843), and great-grandfather, Archdeacon Edward Whitty (1720-1804), were all Church of Ireland priests in the parish. Archdeacon Edward Whitty was also Prebendary of Tomgraney in Killaloe, and three successive generations of his descendants in another line of descent were Rectors of Kilrush, Co Clare: the Revd Irvine Whitty (1754-1842), Archdeacon John Whitty (1779-1864) and Canon Henry Whitty. It may have been these strong clerical links with Co Clare that introduced Dr Richard Whitty to his wife, Jane Alicia, who was born into the Hickman family of Fenloe, near Newmarket-on-Fergus, Co Clare. Jane’s mother, Sophia Angel (Stopford) was a daughter of Bishop Edward Stopford of Meath and a sister of Archdeacon Edward Stopford. This branch of the Stopford family included a number of bishops and a number of clerical generations, and was distantly related to the Stopford family, Earls of Courtown. The Hickman family was descended from Gregory Hickman, an English merchant who moved to Co Clare in the first half of the 17th century. His grandson, Hugh Hickman, was the ancestor of the Hickman family of Fenloe. Fenloe House, a redbrick, two-storey 18th century house was the home of the Hickman family from the 18th century until the 20th century. Hugh Poole Hickman lived there in 1837 and Hugh Palliser Hickman of Fenloe owned over 3,000 acres in Co Clare in the 1870s. The Whitty sisters had no other sisters and had no brothers. Through their mother, they were second cousins of Catherine Amelia O’Brien or Kitty O’Brien (1881-1963), the stained glass artist of An Túr Gloine studios; the Irish nationalist and historian Alice Stopford-Green (1847-1929); and the controversial Irish Anglican priest and hymnwriter, Stopford Brooke (1832-1916), who translated Still the Night, a version of Silent Night that has lost popularity. As young girls, the two Whitty sisters spent much of their childhood at Hillcot in Whitechurch, Co Dublin, but family holidays were spent at their mother’s family home at Fenloe, where Clare was born. 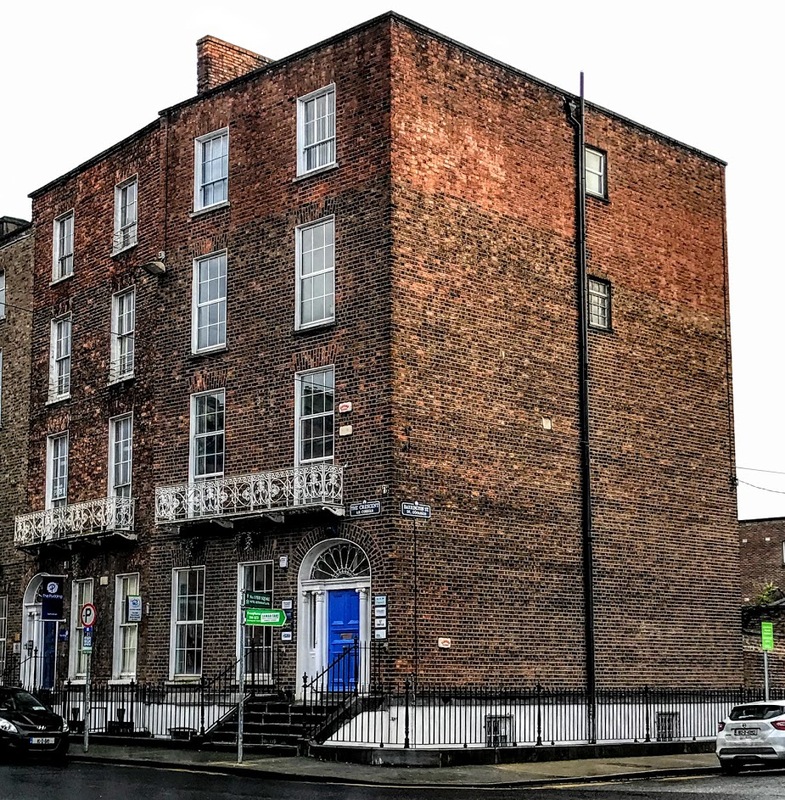 While his two daughters were still children, their father Richard Whitty qualified as a medical doctor in August 1888 and they moved to Limerick, where the family lived at No 11 The Crescent, almost opposite the Jesuit church. Their grandmother, Sophia Angel St John Hickman, died at this house on the corner of Barrington Street in June 1889. The Whitty family had moved to England by 1891 and were living at Loughton in Essex. Dr Whitty died in London at the age of 53 on 1 November 1897. The family were living with his brother-in-law, Major-General Hugh Palliser Hickman, who was stationed at Woolwich Barracks. Clare Emma Whitty received training in art in Paris, where she became fluent in French. She was living as a boarder in Birmingham by 1911, when she described herself as an Elementary Teacher. A year later, in 1912, she joined the Anglican Community of Saint Peter, then based in Kilburn, London, and took her vows as a sister in 1915, taking the name Mary Clare. Before the outbreak of World War I, the Revd Mark Trollope (1862-1930), who had been vicar of Saint Augustine’s in Kilburn, was appointed the third Anglican Bishop of Korea. He asked Sister Mary Clare to help him in founding a society of Korean sisters in Seoul. But World War I disrupted those plans, and she eventually reached Korea in 1923, and began Korean language studies. With the help of Bishop Trollope, she founded the Society of the Holy Cross in Seoul in 1925 and was appointed novice mistress. She was back in England for a time in 1928-1929, when she lived at the mother house of the Community of Saint Peter in Kilburn. She then returned to Seoul to take up her role as the first Mother Superior of the Sisters of the Holy Cross. During World War II, Mother Mary Clare was repatriated to England in 1941. She left England in 1946, and returned through Kure in Japan to Korea, arriving back in January 1947. On the ship’s passenger list, she described herself as a teacher. On the outbreak of the Korean War, she turned down an offer from the British embassy to evacuate from Seoul, deciding to stay with her congregation. When the North Korean army in Seoul in June 1950, she took refuge with other foreign civilians in the British Embassy. But they were interned by the North Korean forces as they consolidated their occupation of the Korean capital. On the retreat of the North Korean forces from Seoul following the success of the United Nations forces landing at Inchon, she and other foreign civilian prisoners, including a number of Christian missionaries, were forcible moved to the northern part of North Korea. The last part of their ‘Death March,’ began on 30 October and involved a forced march of over 100 miles in early winter with little food or warm clothing. Mother Mary Clare died on 6 November 1950 near Chunggangjinon. She was buried in a shallow grave near the Chosin Reservoir in the north-west part of North Korea by five French-speaking Roman Catholic sisters. They used an improvised bier to bring her to the top of a neighbouring hill, close to the camp, where they dug her grave. Apart from a recent one-page article in Newslink, the Diocesan magazine in Limerick and Killaloe, by the Very Revd Paul Mooney, Dean of Ferns, Mother Mary Clare is little known or remembered in her homeland or in the Church of Ireland in which she grew up. Mother Mary Clare’s sister, Sophia St John Whitty, was a woodcarver, teacher, and a leading figure in co-operative movement, and an influential member of the Irish Celtic cultural revival and the Irish Art and Crafts movement. Sophia attended the South Kensington School of Art, where she studied woodcarving, and returned to Dublin to continue her studies at the Dublin Metropolitan School of Art. 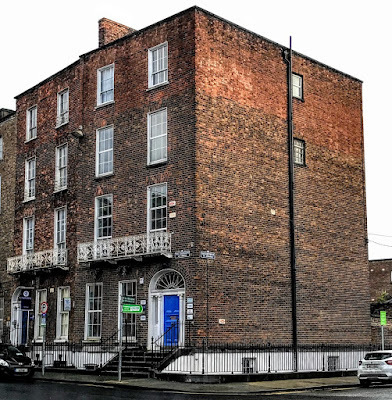 She opened a small studio at 43 Sackville Street (O’Connell Street), Dublin, around 1902. There she gave lessons in woodcarving and other crafts, and with Kathleen Scott she taught woodcarving at the parochial hall of Christ Church, Bray, Co Wicklow. She went to Bruges in Belgium to study figure carving, and then visited art schools in Austria and Italy in the summer of 1903. When a new technical school (later Colaiste Raithin) opened in Bray in 1904, Sophia was appointed wood carving teacher, one of the first in Ireland. With Scott, their students executed the carved walnut figures for Christ Church designed by Sophia, including two angels, representing prayer and praise, on the prayer desk, and Saint Patrick on the lectern. Sophia’s 1904 Gothic triptych with crucifix received acclaim in 1904. A year later, she set up the Bray Art Furniture Industry, which was attached to the technical school, and where she was the manager, designer and instructor. 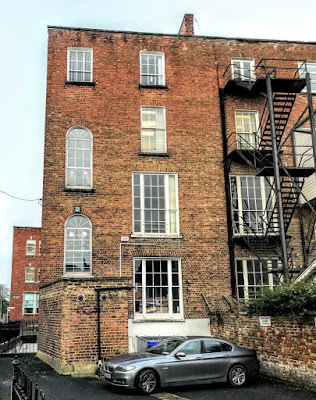 Sophia closed her Dublin studio in 1906, and in 1909 she moved from 70 Pembroke Road to Old Bawn, Old Connaught, Bray, where she and her mother Jane lived for the rest of their lives and hosted children’s parties each Christmas. With the outbreak of World War I, the Bray Art Furniture Industry closed in 1914. Sophia was involved in the United Irishwomen, serving as the organising secretary in 1914, 1915 and 1921. The organisation struggled during the political troubles of the Irish War of Independence, and she resigned in 1921. 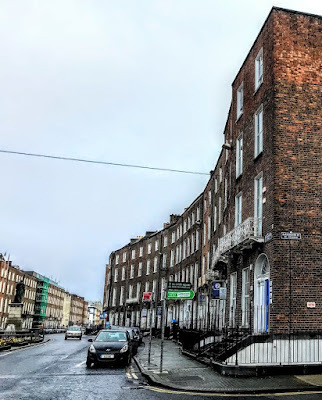 In the years after, she wrote nature articles for The Irish Times and other Dublin newspapers, and toured Co Dublin and Co Wicklow searching for material, wither alone on her bicycle or with her mother in their little Peugeot car. Sophia Angel St John Whitty died on 26 February 1924 at Drumcondra Hospital, Dublin, after a brief illness and surgery. 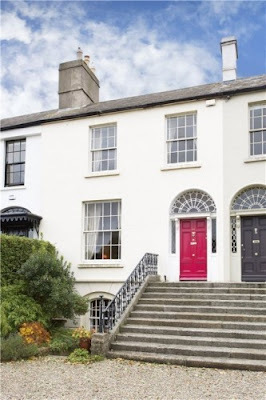 She was then living at Old Bawn, Bray, Co Wicklow. She was buried in Enniskerry. Following her death, a collection of her nature essays in The Irish Times and the Freeman’s Journal in the early 1920s was collected and published in a book, The Flaming Wheel, which included a biographical foreword by Kathleen Scott. Their mother Jane Whitty was living at Wayside, Enniskerry, Co Wicklow, when she died on 17 June 1931. 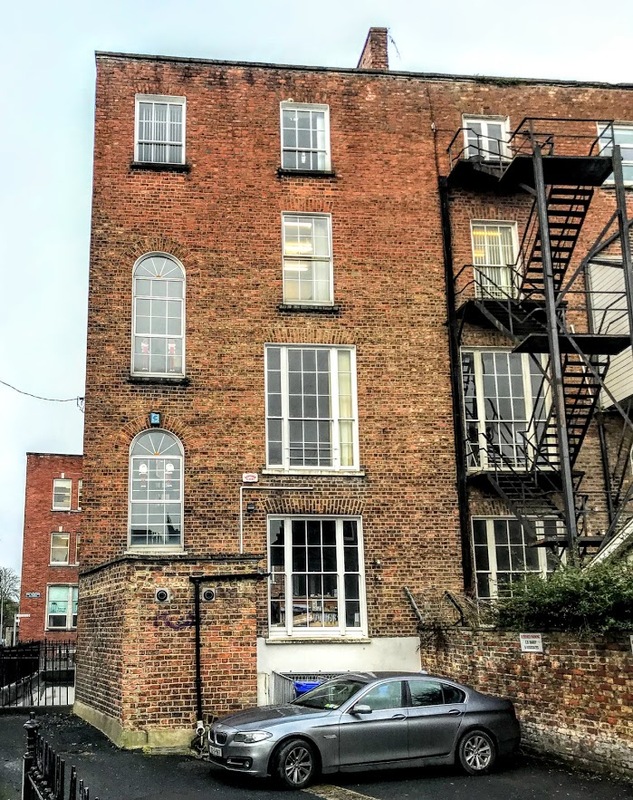 No 69 Upper Leeson Street, where Sophia was born, is part of a terrace of six houses dating from the early Victorian period. In the late 1960s and early 1970s, it was also home to PL Travers, the author of Mary Poppins, which has returned to cinema screens this month. 9.30 a.m.: Saint Mary’s Church, Askeaton, Co Limerick, Epiphany Eucharist (Holy Communion 2). 11.30 a.m: Saint Brendan’s Church, Kilnaughtin (Tarbert), Co Kerry, Epiphany Eucharist (Holy Communion 2). 9.30 a.m.: Castletown Church, Kilcornan, Co Limerick, the Parish Eucharist (Holy Communion 2). 11.30 a.m: Holy Trinity Church, Rathkeale, Co Limerick, Morning Prayer, with Sunday School. 9.30 a.m.: Saint Mary’s Church, Askeaton, Co Limerick, Morning Prayer. 11.30 a.m: Saint Brendan’s Church, Kilnaughtin, Co Kerry, the Parish Eucharist (Holy Communion 2). Readings: Nehemiah 8: 1-3, 5-6, 8-10; I Corinthians 12: 12-31a; Luke 4: 14-21. 25 January: the Conversion of Saint Paul.